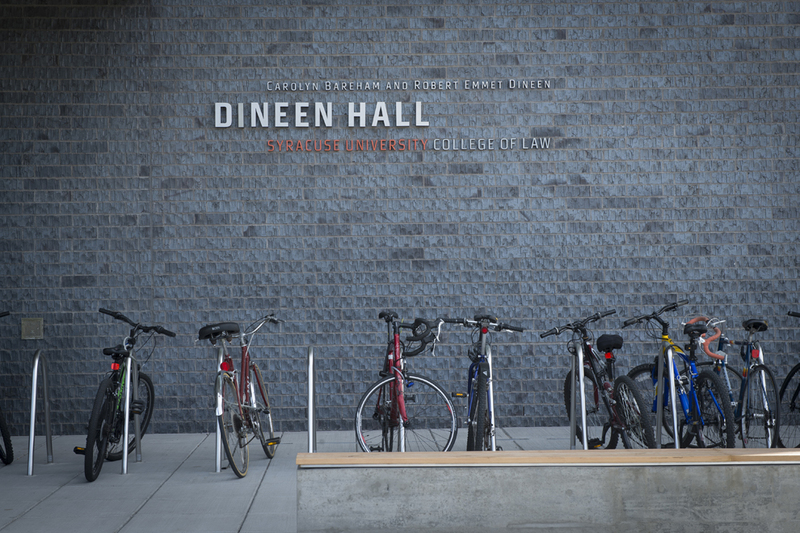 Click on the screens below to experience a self-guided 3D tour of Dineen Hall. 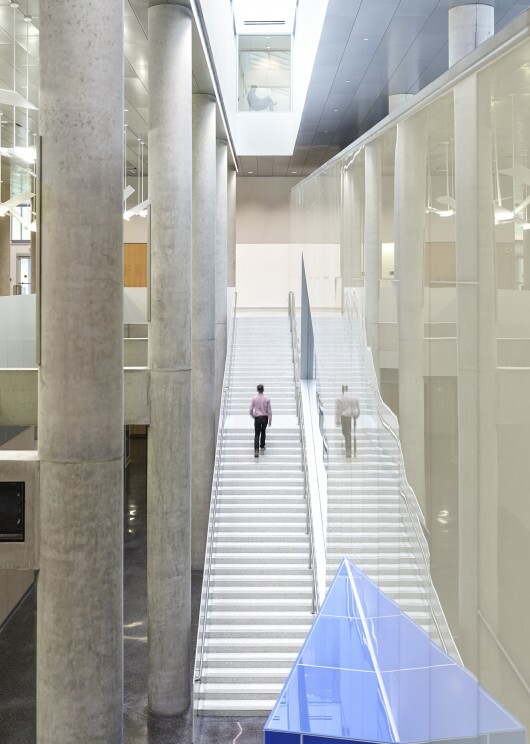 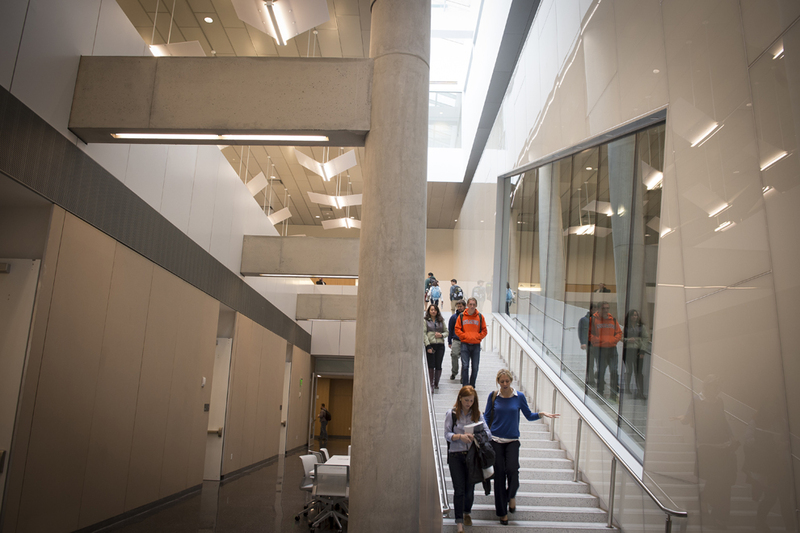 The building comes alive as you walk through the halls and features of our state-of-the-art facility. 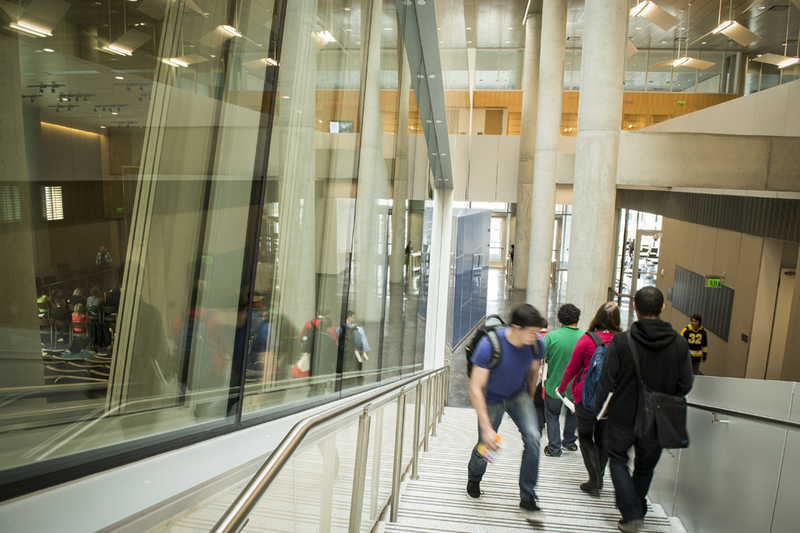 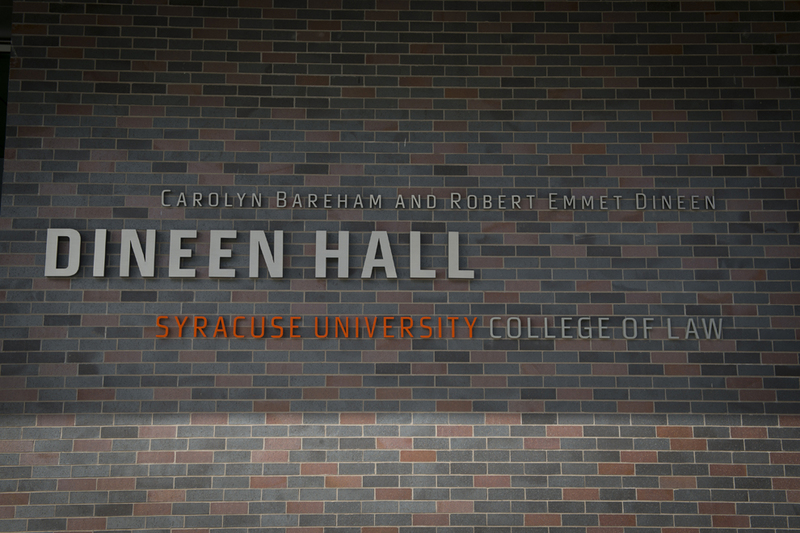 For a physical tour of Dineen Hall, please schedule a visit. 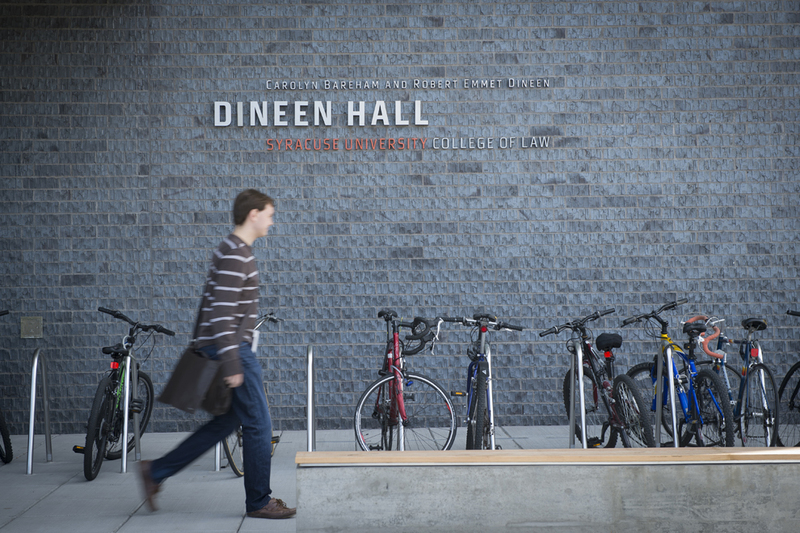 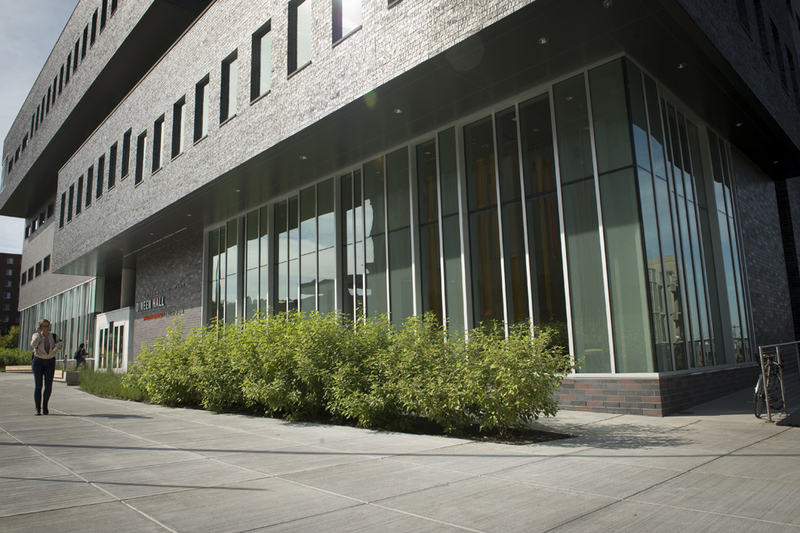 A decade in the planning, Dineen Hall is truly a game changer for the Syracuse University College of Law. 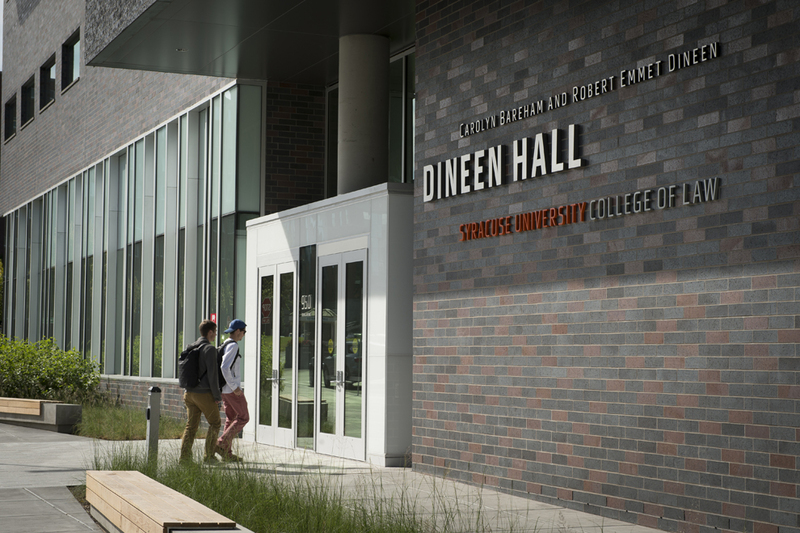 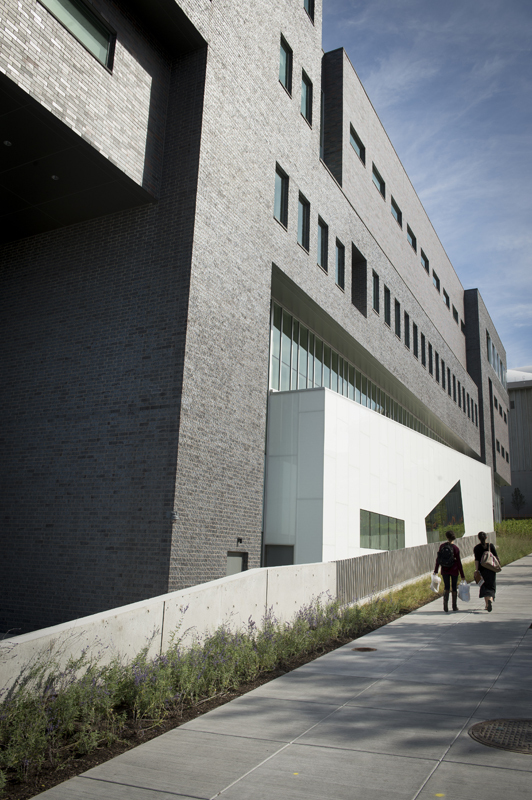 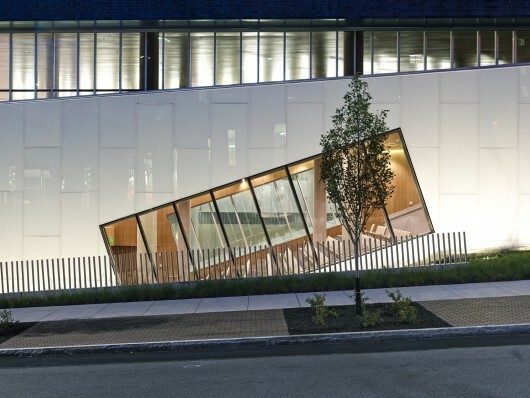 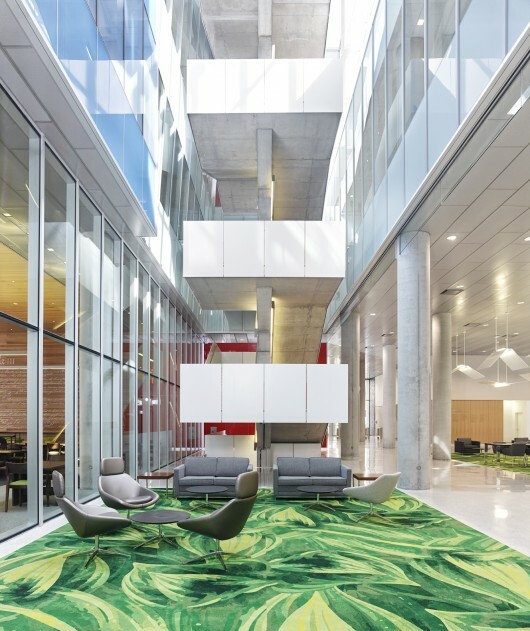 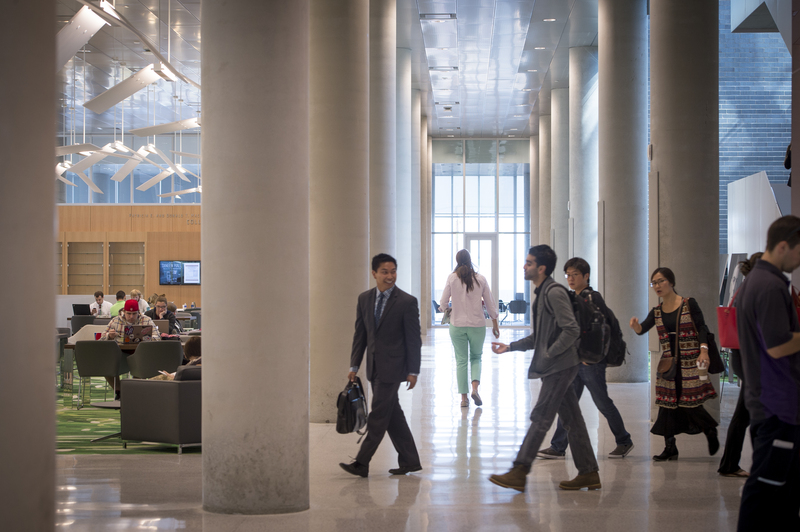 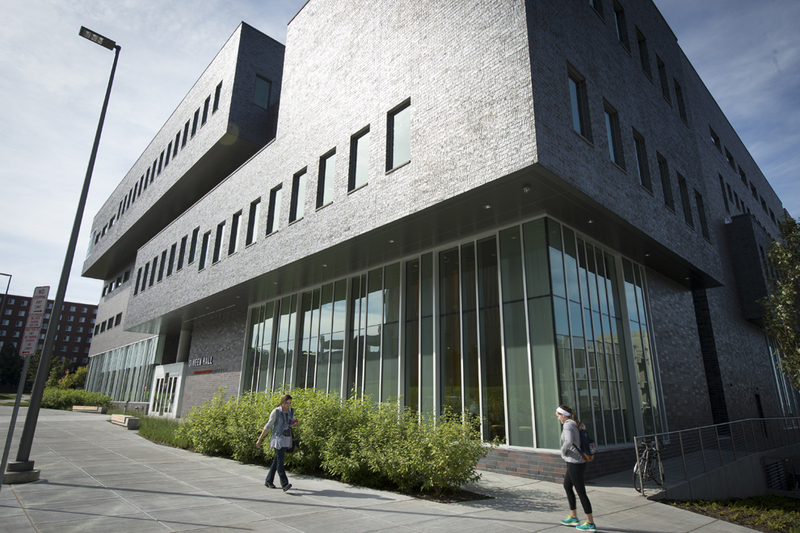 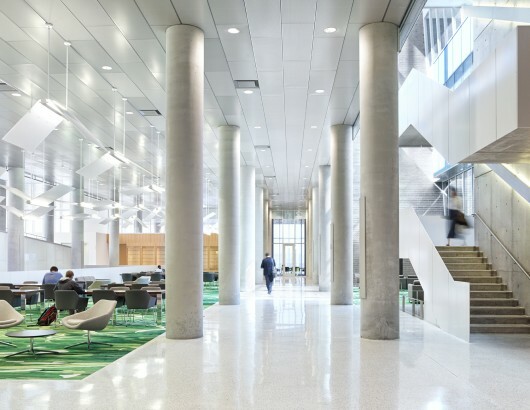 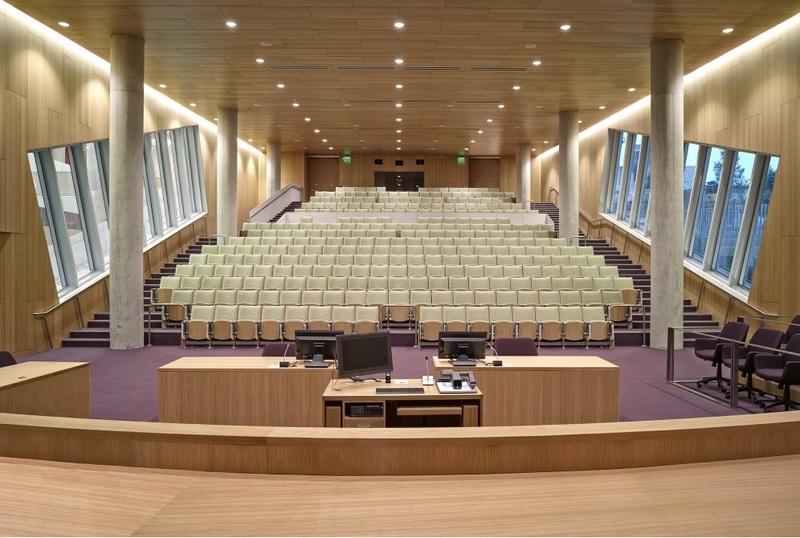 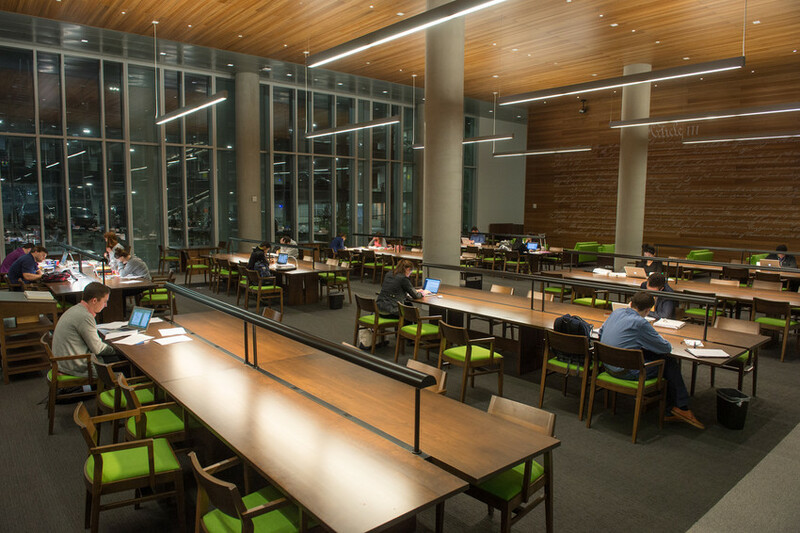 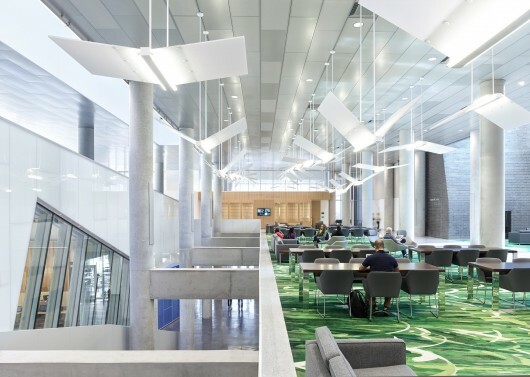 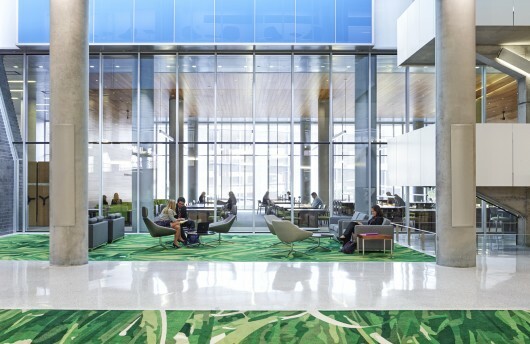 After being housed in two separate buildings connected on only two levels, the 200,000-square-foot, five-story, state-of-the-art Dineen Hall brings the entire College of Law into one inviting space, creating a real community for legal education in the 21st century and beyond. 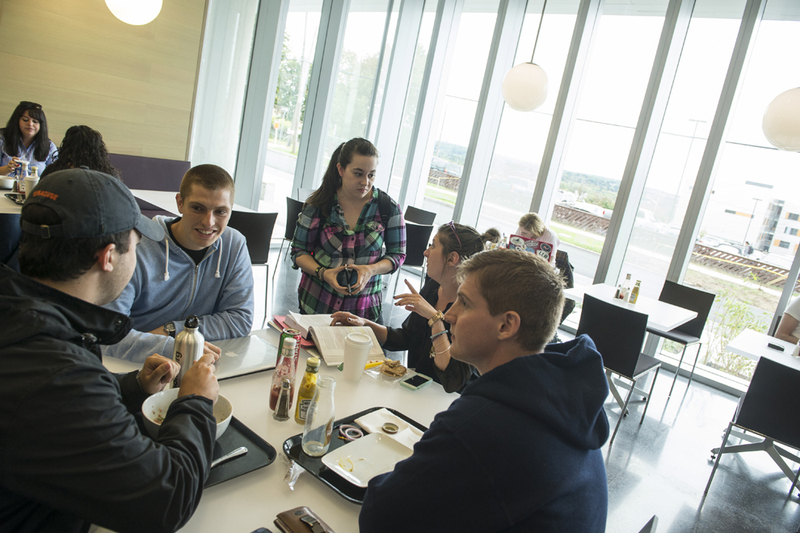 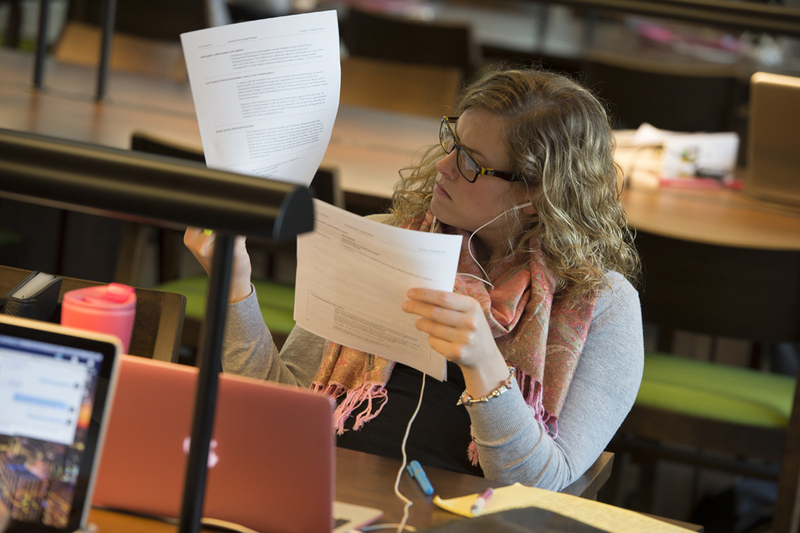 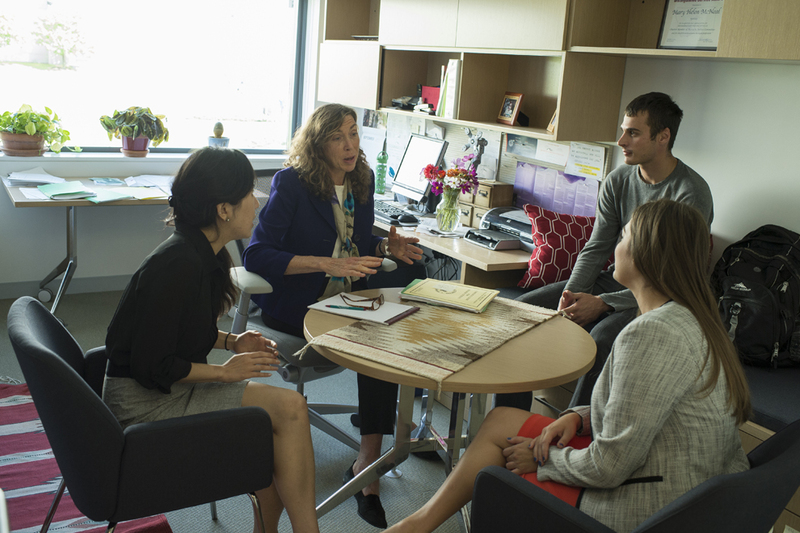 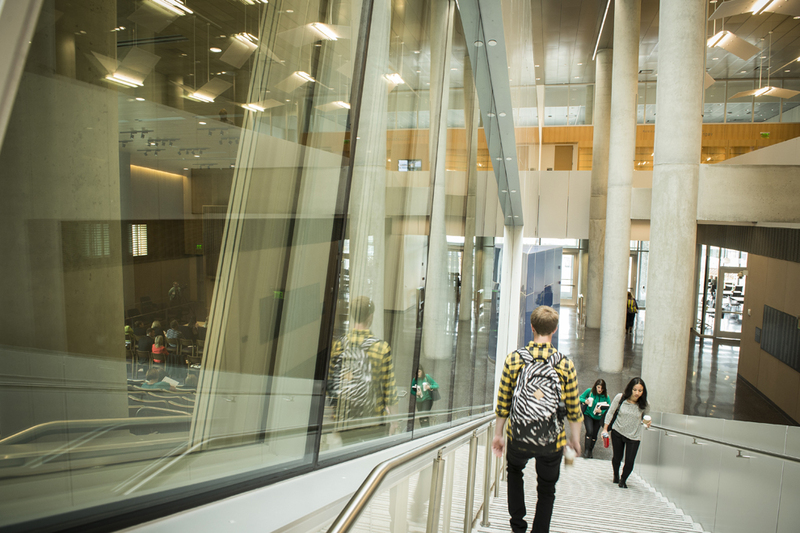 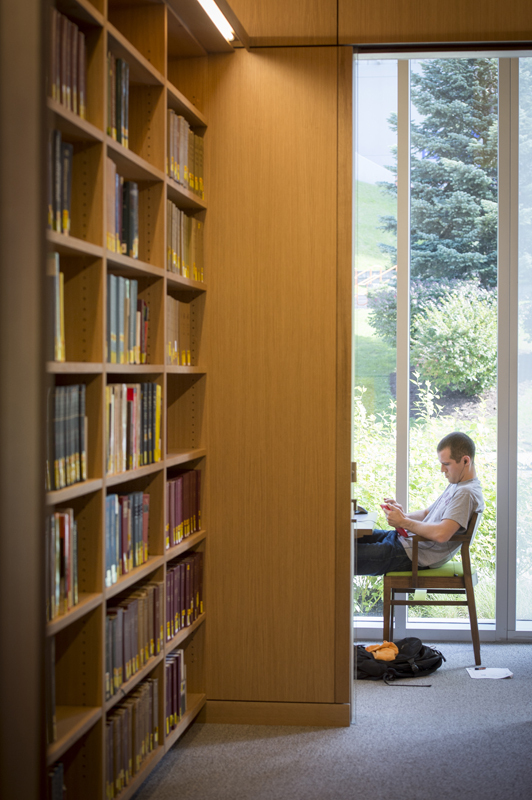 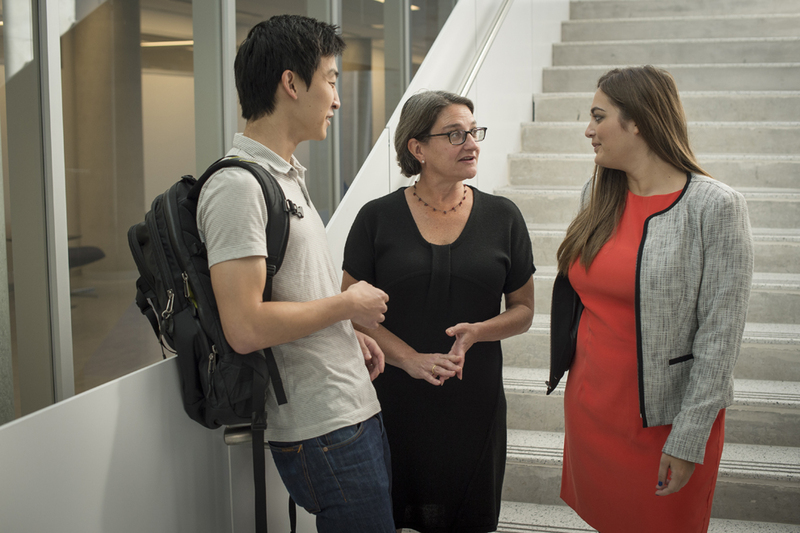 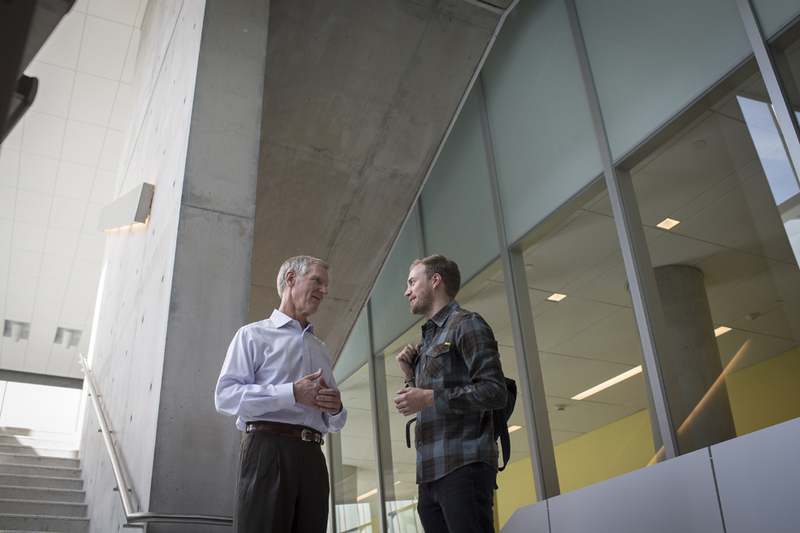 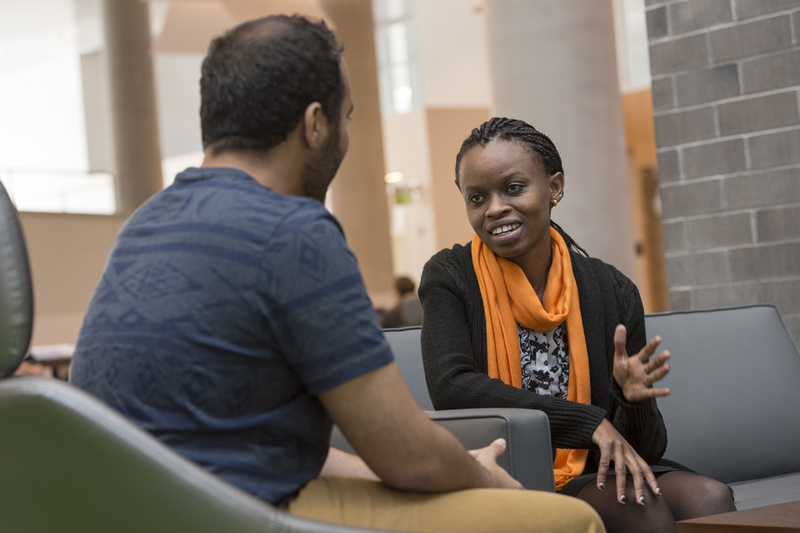 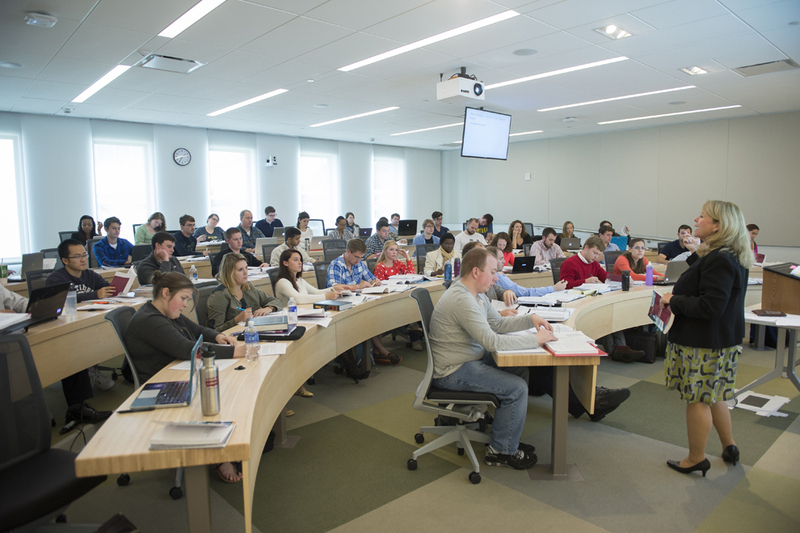 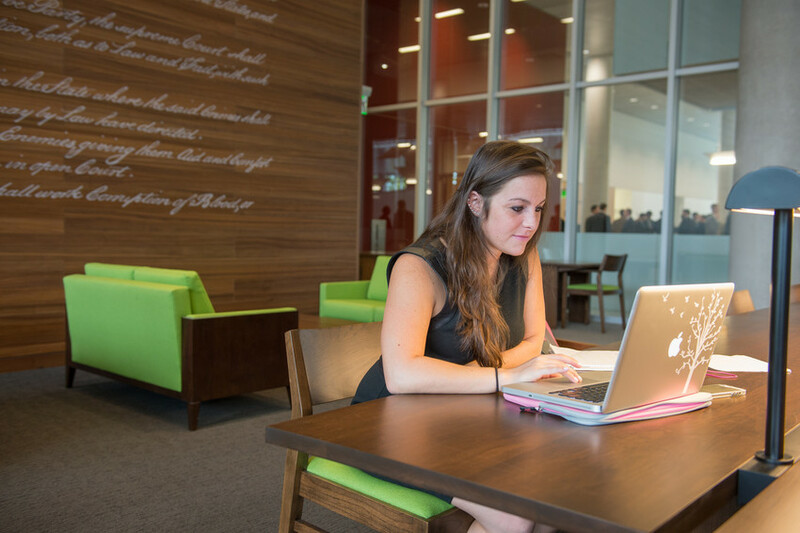 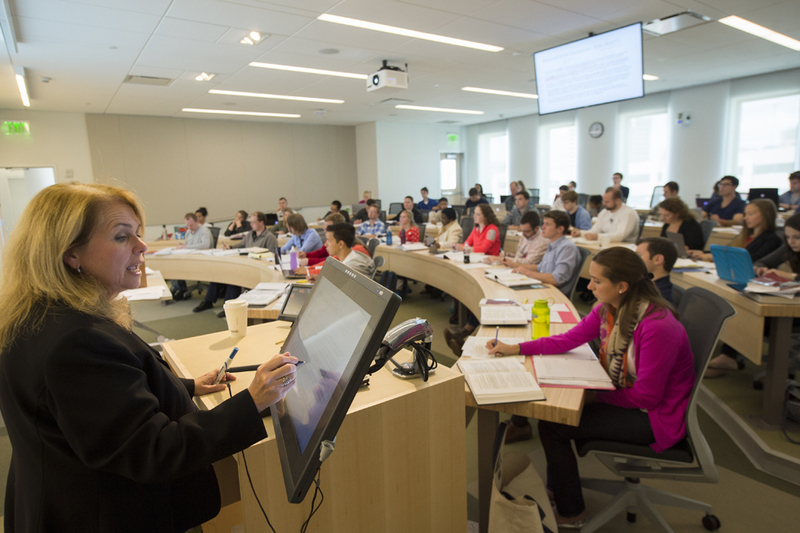 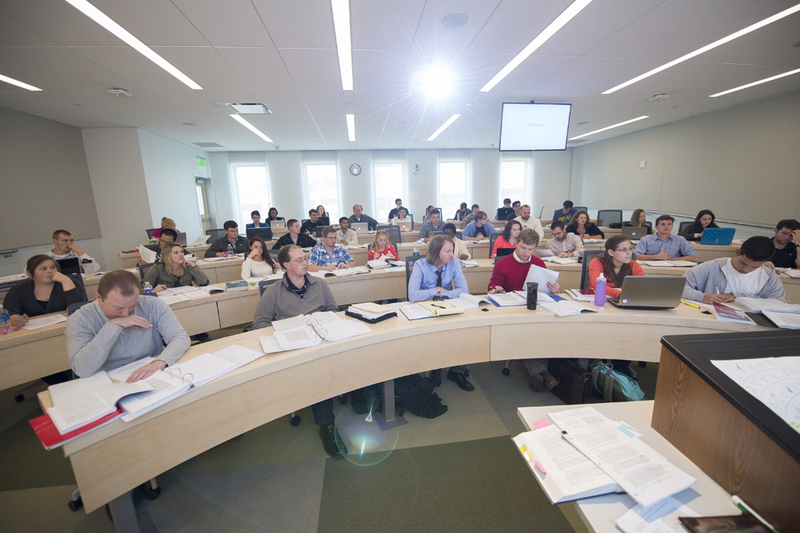 Dineen Hall has transformed the learning experience for College of Law students. 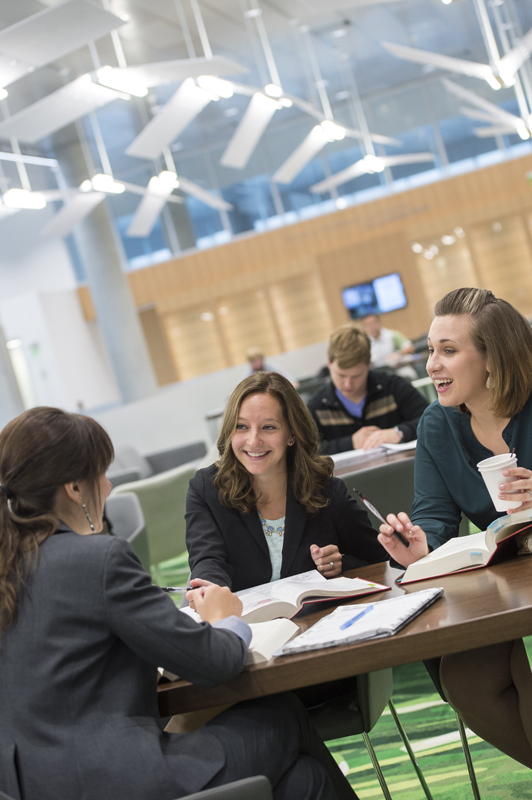 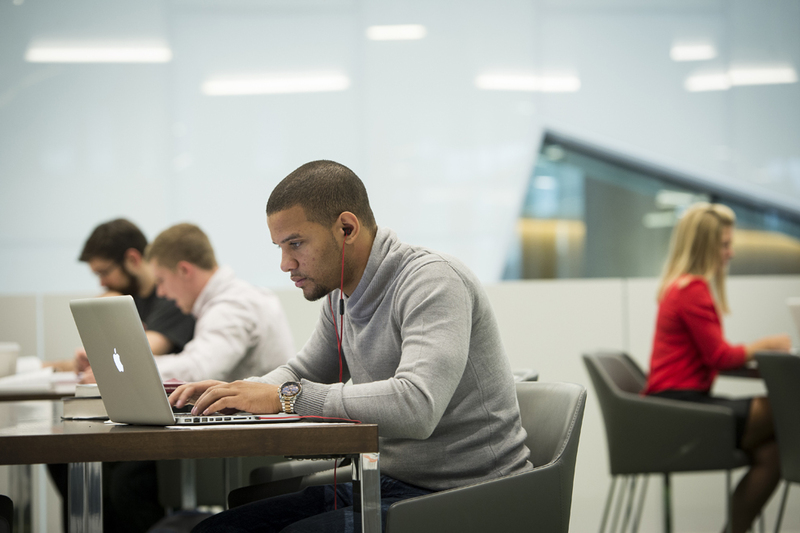 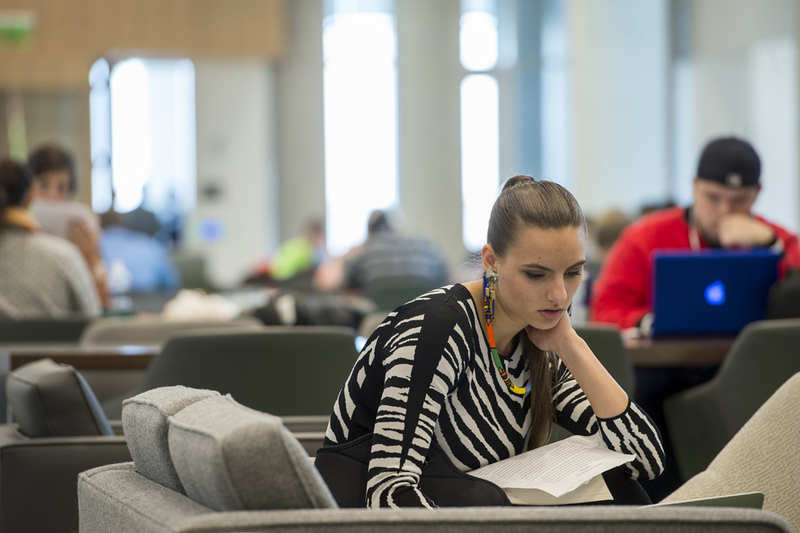 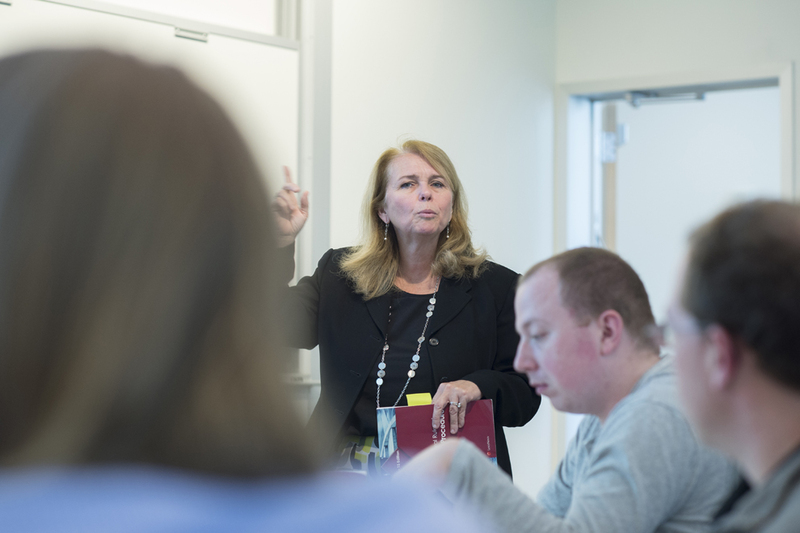 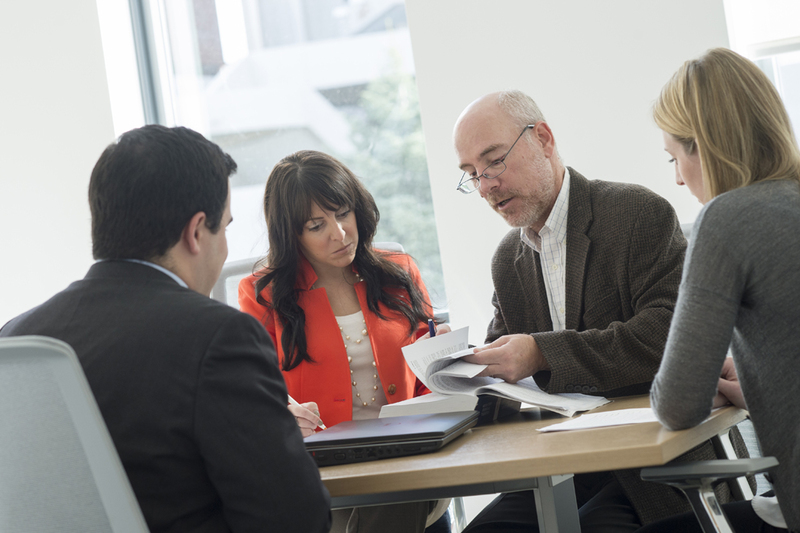 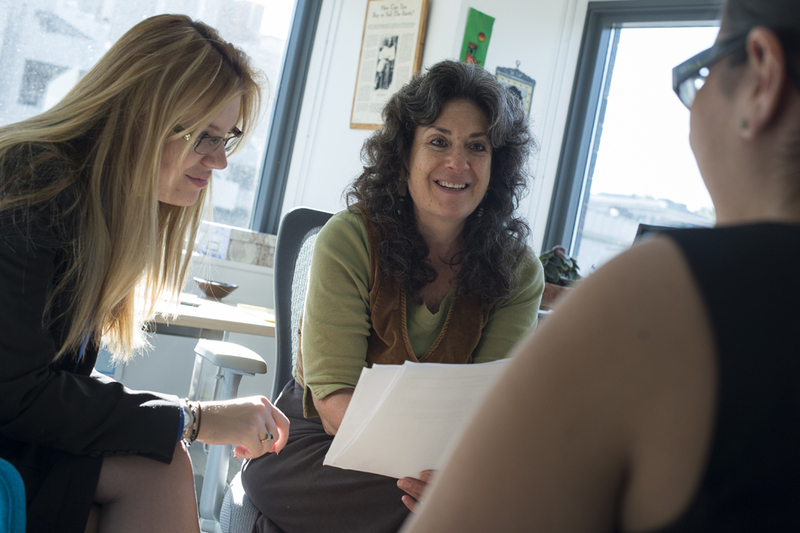 Through the intersection of best practices and well-planned spaces for learning and faculty-student interaction, the College of Law is able to provide a superior experience for students to meet the rigorous demands of a modern law degree.